Many people don’t make soup anymore. They just buy a can or a package of instant soup. Homemade soup is more flavorful, contains less salt, more actual chicken meat, and no chemical flavors and preservatives. The traditional way of making chicken soup is to boil a whole chicken in water with aromatic vegetables, and then debone the chicken, shred the meat, and return it to the soup. To improve the flavor and texture, I’ve made a couple of changes. First, I’ve kept the breast meat separate and poached it in the soup at the end. 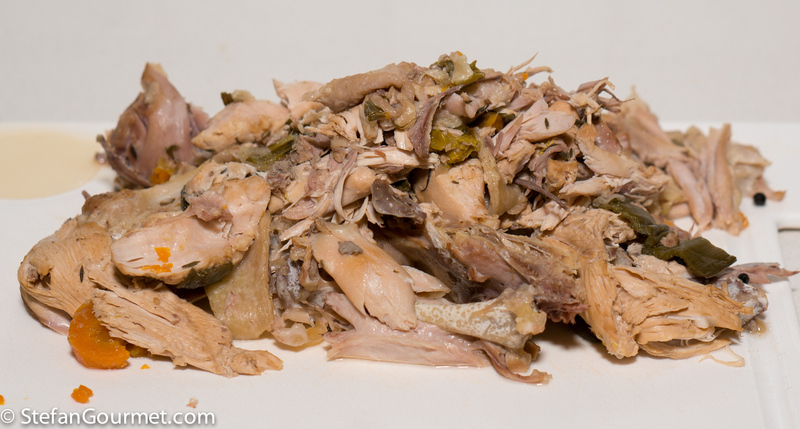 This vastly improves the texture and flavor of the breast meat, which would otherwise be dried out and tasteless after several hours of boiling. 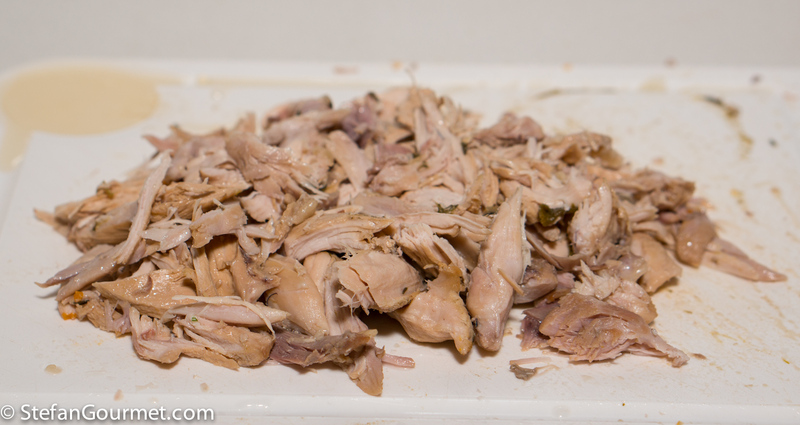 The dark meat is more fatty and holds up much better. Second, I’ve discarded the vegetables used for making the broth, and then added fresh vegetables at the end that were only cooked until just done. Chicken soup is traditionally made from stewing hens, which are hens that have produced eggs all their life and are therefore more flavorful and more tough than chickens that were raised for their meat. They are so tough in fact, that preparing them in the usual way won’t work, and that is why they are perfect for soup. 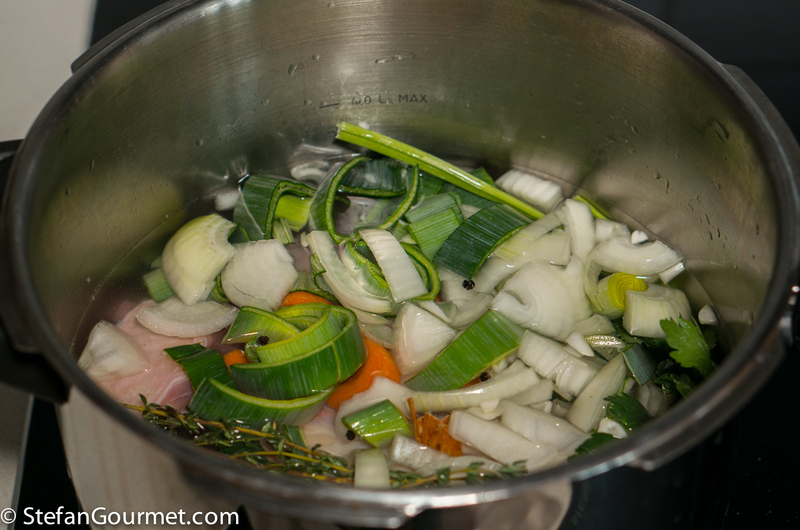 Put all the chicken meat and bones, except for the breast meat, in a stock pot or pressure cooker together with the green part of a leek, sliced, a chopped onion, a chopped carrot, thyme, parsley, bay leaf, mace, and black peppercorns. Cover with about 2 litres (4 cups) of water. If using a pressure cooker, bring to pressure and pressure cook for 90 minutes. 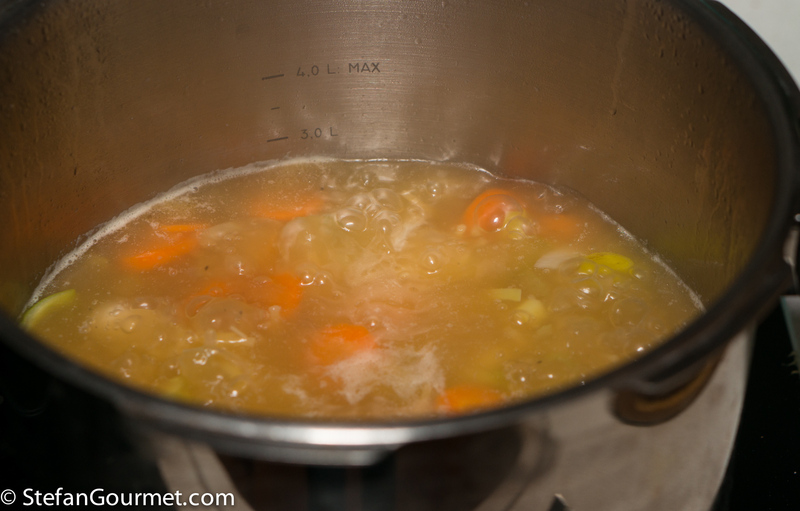 If using a regular stock pot, bring to a boil, reduce to a simmer, and simmer for 3 hours. 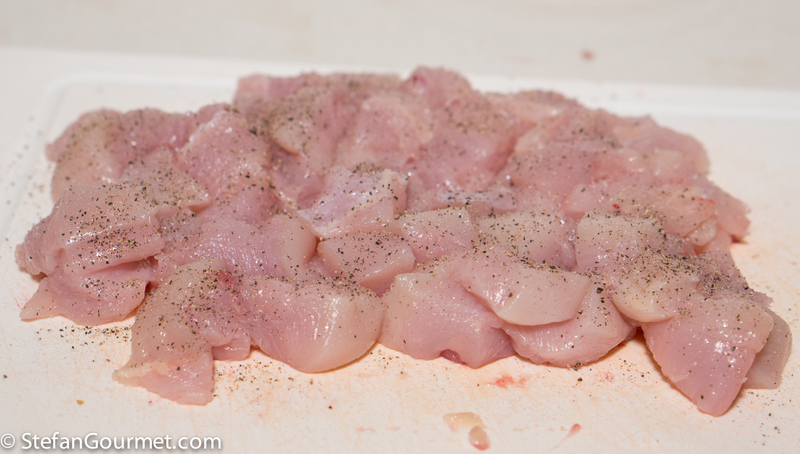 Meanwhile, cut the breast meat into 1.5 cm (1/2 inch) cubes and season with salt and freshly ground black pepper. 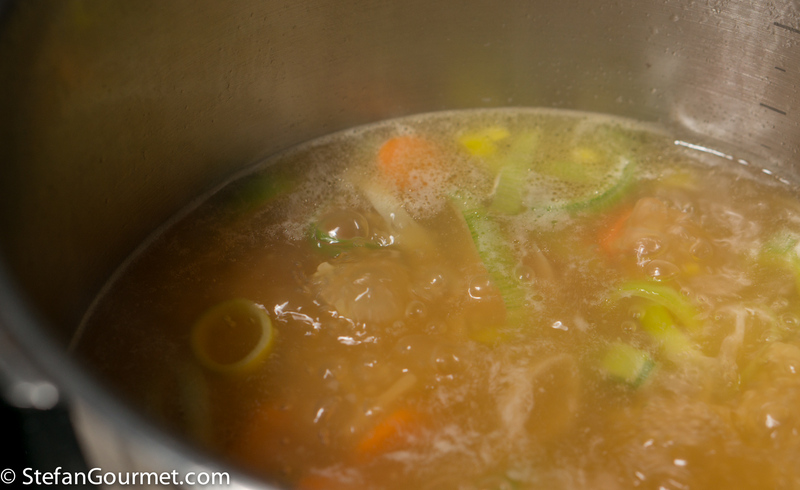 Cover and refrigerate the breast meat so that the salt can penetrate the meat while you are making the stock. 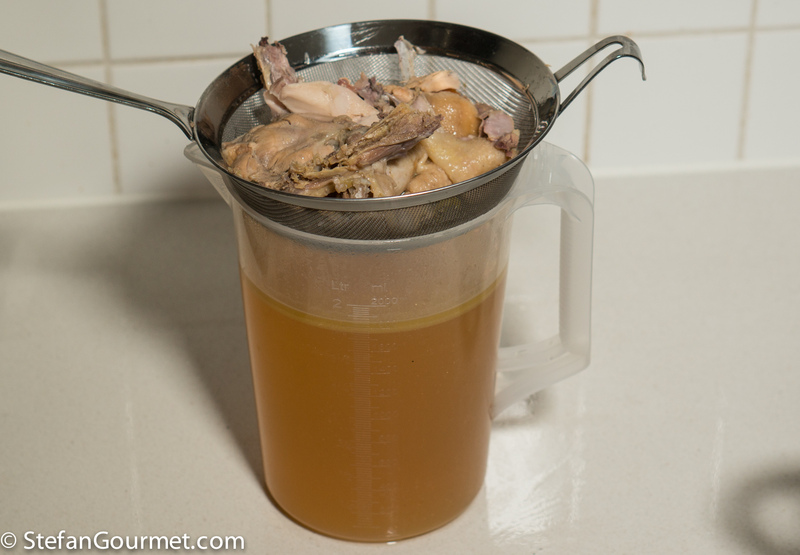 Strain the chicken broth through a fine sieve. If you like, you can spoon off some of the fat that will float on the surface. Discard the vegetables and gather the meat. 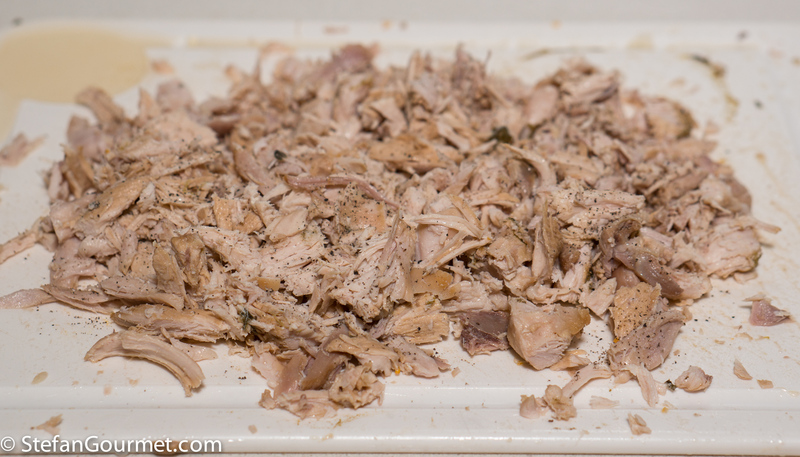 …shred the meat, season with salt and freshly ground black pepper, and reserve. 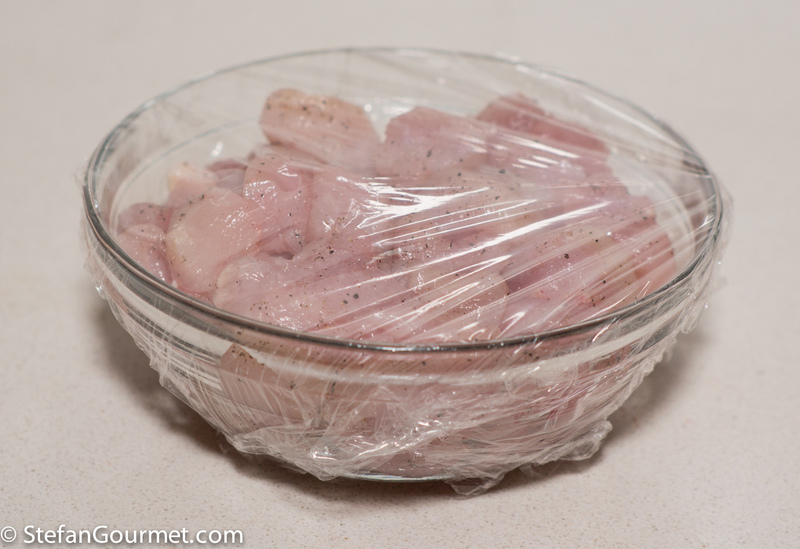 To prevent scum when adding the raw chicken breast to the soup, blanch it first. Bring a pot of water to a boil. 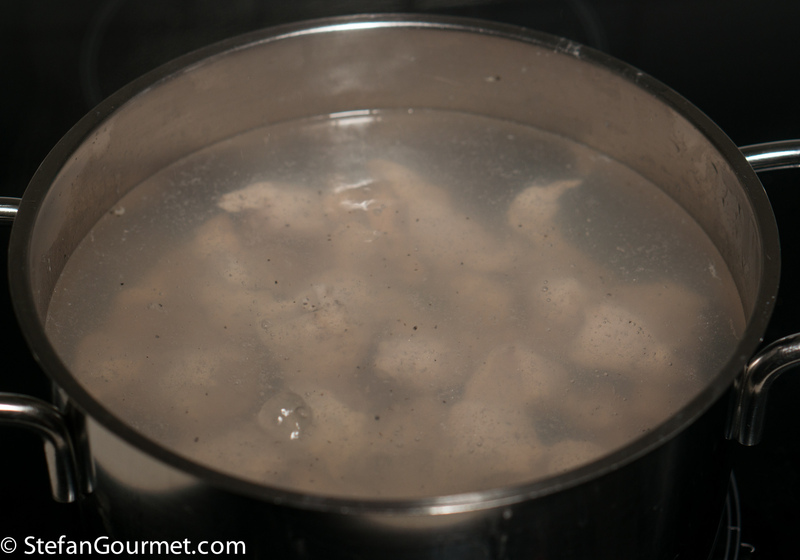 When the water boils, add the chicken breast cubes. 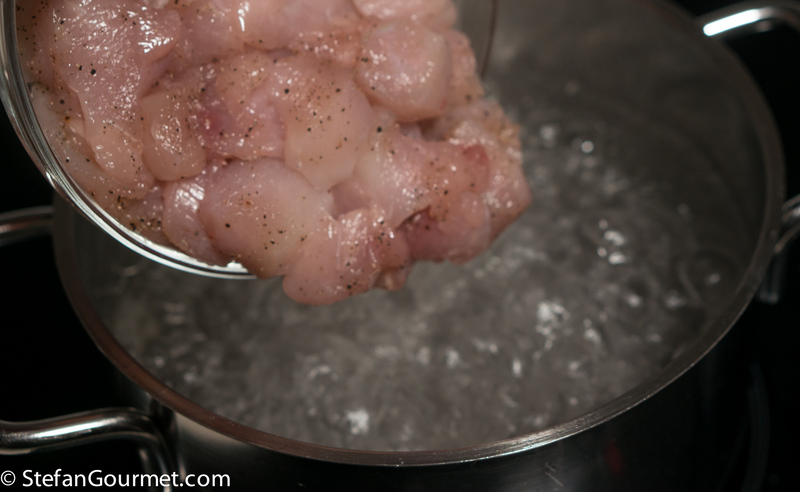 Cook just until the chicken has turned white, then plunge in cold water to stop the cooking. 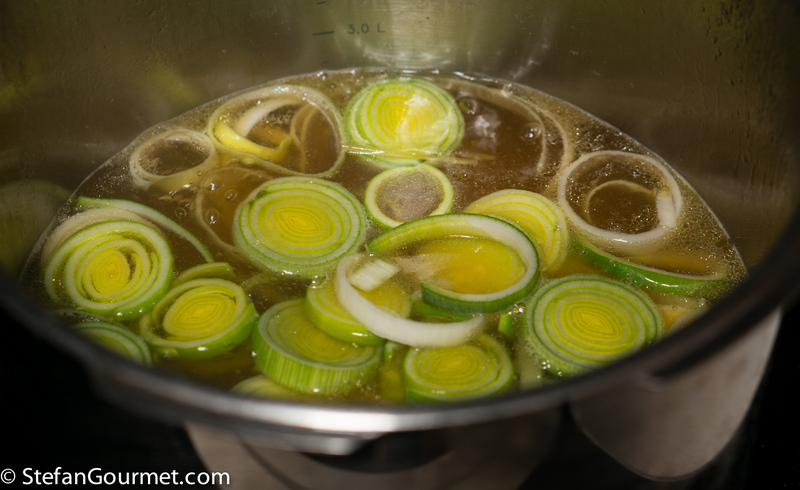 Put the chicken broth in a stock pot and season with salt to taste; I used about a teaspoon. Check the cooking time of the spaghetti on the package. This determines whether the spaghetti needs to be added before or after the vegetables and chicken. Mine needed more than 5 minutes, so I added it first. Cut the white part of the leek into rounds and cook in the boiling stock for about 5 minutes or until tender but firm to the bite. Cut a carrot into brunoise (small dice) and cook in the boiling broth for about 5 minutes or until tender but firm to the bite. 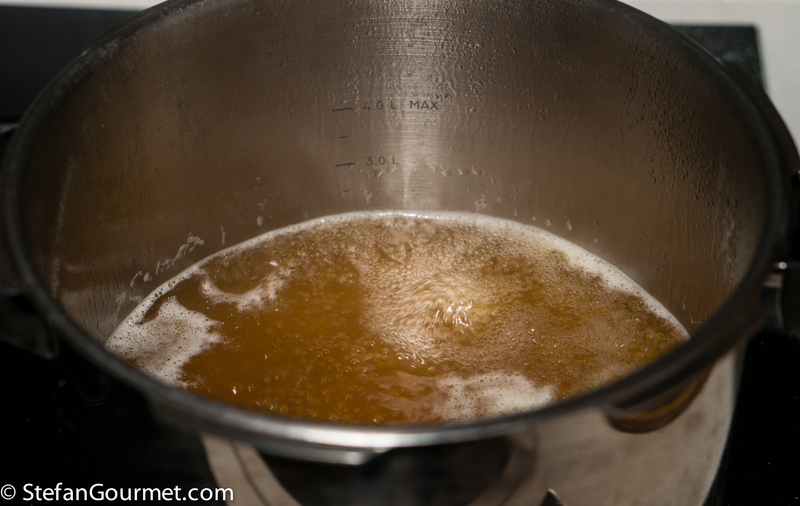 Poach the chicken breast in the boiling broth until just tender, about 5 minutes. Simmer the soup until everything is tender but firm to the bite, and add the shredded chicken for the final 2 minutes to allow it to warm through. Then taste and adjust the seasoning with salt and freshly ground black pepper. The soup is now ready to be served. If you are not having the soup straight away, I’d recommend to just prepare the broth and finish the final steps right before serving to preserve the fresh flavor and texture of the chicken breast and vegetables. 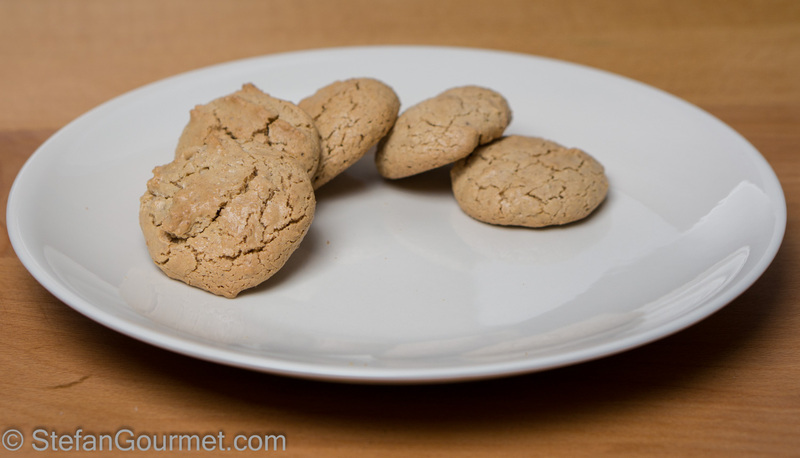 These walnut and hazelnut cookies have a very deep nutty flavor and a nice chewy texture. After reading this earlier today I am now making almost exactly the same soup (no noodles, though). I liked the idea of doing the breast meat separately so I’m giving it a try. I really love chicken soup and all the different ways it can be prepared, thanks for your version of the recipe! I always make my own chicken noodle soup. I had never thought to cook the breast separately, great idea Stefan. I still prepare chicken soup from scratch and think of my Mom doing it and like you she also using a stewing hen. She was always very particular with the broth being clear, even going as far as pouring the broth through cheesecloth! 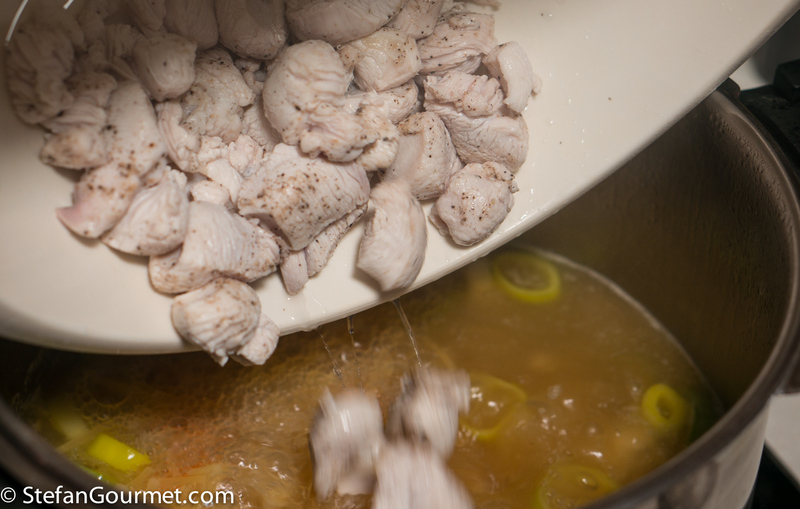 I use chicken thighs for my broth. 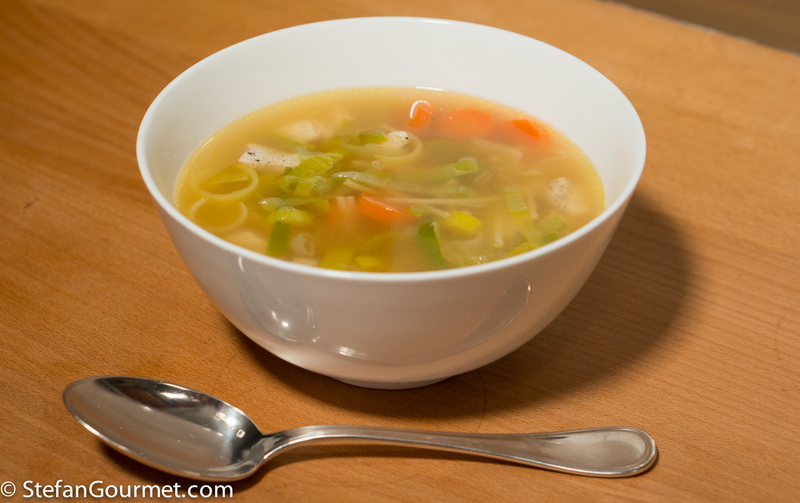 So easy too make good chicken soup! just wish I had her homemade egg noodles! Even Pharma happy doctors these days admit that this tasty Jewish penicillin works in shortening and easing of winter ills. Using breasts thus is innovative, but otherwise no soup is ‘that’ hard to prepare . . . . if people buying tinned soup only knew the danger of the BPA in the tins the tinned soup industry would soon be bankrupt 🙂 ! I must admit I do reach for garlic when preparing . . .
Two suggestions : add parmigiana or grana padana crusts to the stock = big umami hit, and add chicken wings for extra flavour and gelatin. 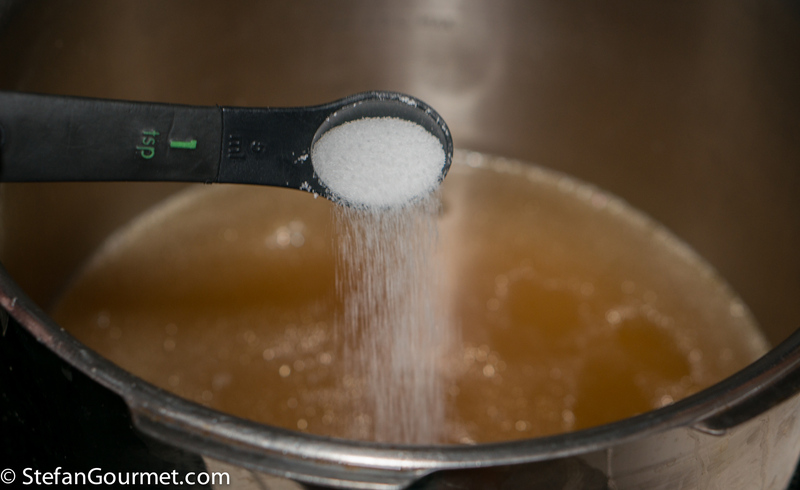 The gel comes in very handy if you use some of the stock to make a sauce. I follow Heston’s tip of using all chicken wings for my soup. 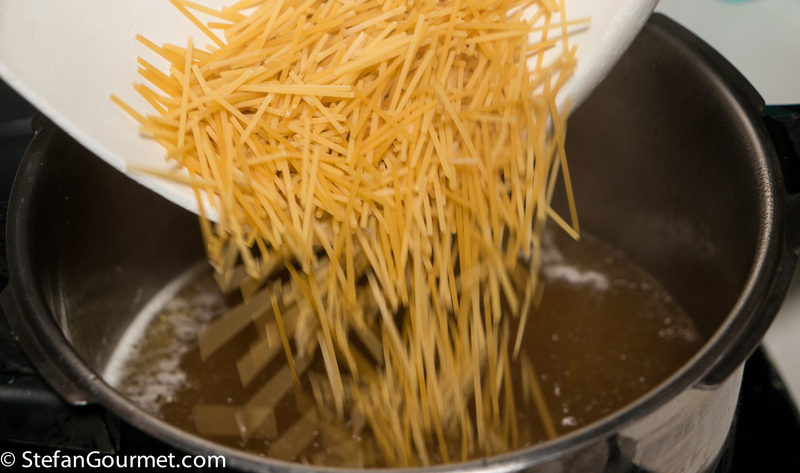 We serve our chicken noodle soup with grated grana padana on the side….bliss. I tend to make puréed vegetable soups more than any other kind. I always found that my kids ate these, without even realizing that they were pure vegetables! But this is a lovely hearty soup. Lovely soup Stefan. Soup, like so many other things cooked benefits from building the layers of flavour.